Unhappy as a vampire, Jack returns to his childhood home every year for a nostalgic tour, but this time is different. A freak incident restores his mortality and takes away his fangs. A second chance to be human. All Jack wants is to have a normal life, but what’s normal about a werewolf English teacher, a girlfriend who happens to be THE werewolf hunter, and a brother who can’t decide if he wants to welcome home his brother or stake him through the heart to be on the safe side. 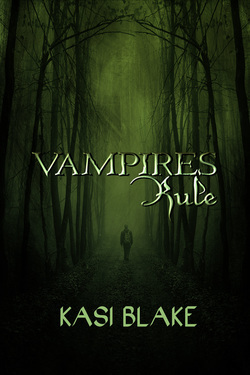 VAMPIRES RULE is book one in the Rule Series. 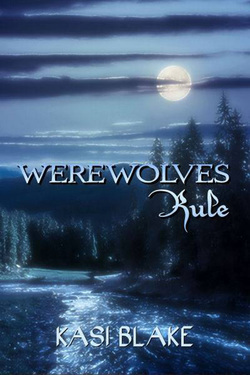 If you enjoy it, follow it with Werewolves Rule, Shifters Rule, Wizards Rule, and eventually Mortals Rule. In this, the second book in the Rule Series, Jack thinks his biggest worry is whether he'll graduate from high school or not. Then Silver breaks up with him, and a new girl appears in the nick of time to save his life. The disturbing thing is he saw her in a dream before he saw her in the flesh. Her dark eyes hide a multitude of secrets. Jack doesn't know if he wants to uncover them or just run for cover. When his brother returns and an old enemy returns, things get complicated. In this, the third book of the Rule Series, the war between vampires and werewolves is looming in the horizon. More than anything, Jack wants to save his brother. Up until now he's been hoping to spare Jersey Clifford, a man he saw as a father figure, but Jersey is bent on the world's destruction. The former English teacher has lost his tenuous grip on reality. He won't listen to reason. ​ Jack's love for Silver grows stronger. He'd love to keep her out of the upcoming battle, but Jersey wants her there. Together, Jack and Silver think they can rip the soul from the beast. If they manage to kill Jersey, all other werewolves will be mortal once again. Billy will be himself again. Jack is willing to die to make sure his family is safe. It's the only thing that matters. If they fail to take out Jersey, the world is doomed. Here it is, the fourth book in the Rule Series. After two years hanging with his vampire friends, two years without Silver, Jack is shot by a hunter and has a vivid nightmare that he's sure is about to come true. In the dream, Silver meets his grandfather, the dark wizard. She dies. Jack is determined to keep this from becoming a reality. He returns home to his girlfriend and his brother out of desperation. Silver thinks the dark wizard might have the answer to their biggest problem: Jack's fangs. If he can just lost them and become mortal again, they could live as a normal couple. Both Jack and his father insist the wizard can't help them. Unfortunately, the dark wizard refuses to leave them alone. Jack has something that he wants, and he isn't going to stop until he gets it. What does he want? Jack's immortality. Can they stop him? If they don't, life will end as they know it. This is the last book in the Rule Series. Things have gone from bad to worse for Jack and Silver. He can't get over the tragedy that took place on the roof of Mortius Industries. It weighs on him. How is he supposed to move on with his life? His vampire friends pull on him to leave town with them, but Silver begs him to stay. The danger isn't over yet. A new, scary dark wizard rises to power. Now what? Jack is determined not to lose anyone else. Even if it kills him, he'll find a way to protect those he loves.